Humans have been taking psychoactive substances since the dawn of civilization. That said, the scientific development of depression medication as is recognized today remains a fairly recent development – decades rather than centuries old. 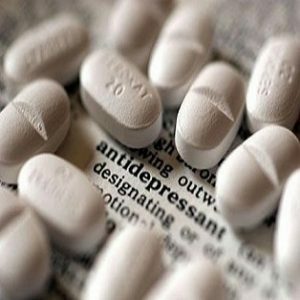 And more and more individuals have been seeking antidepressant medication to relive symptoms of depression and similar mental health ailments. Recently, in the 1980s and 1900s, with the onset of the “Proszac Revolution,” more and more Americans in particular have become accustomed to knowing someone on antidepressants, according to Dr. Triggle. Although the very particular details about how antidepressants work remains outside the scope of this article, there are a very basics that are worth covering. Briefly, abovementioned drugs such as Prozac are “selective serotonin reuptake inhibitors” (SSRIs) that work by altering chemical processes in the brain. If you are experiencing any of these symptoms, consult with a certified medical professional to seek help. Many professionals divide antidepressants into two generations, an older generation and a newer generation. The first generation of antidepressants started hitting the market, again, in the 1980s and 1900s. These drugs include Tricyclics and Monoamine Oxidase Inhibitors. A second generation of antidepressants came along in the early 2000s, and some of these drugs include Venlafaxine, Bupropion, and Trazodone. Certain side effects are a result of different classes of drugs, and research and development will undoubtedly continue. Thankfully, those days are long gone as science has replaced superstition for the treatment of depression and other similar mental health disorders. Triggle, D. J. (2004). Antidepressants. Chelsea House Publishers. Philadelphia, PA.